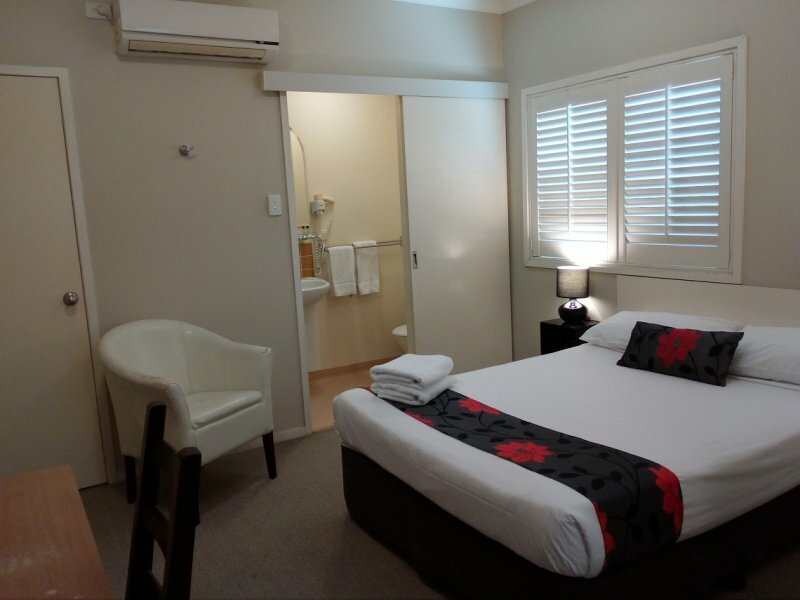 One Double bed suitable for a maximum of two people. 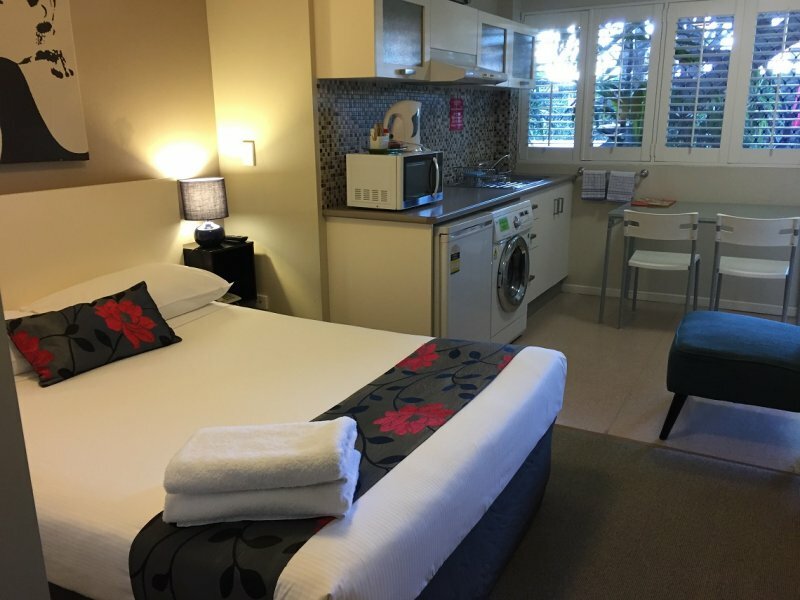 Each room contains a kitchenette with a fridge, microwave, toaster, jug, electric hot plates and frying pan, utensils and crockery. 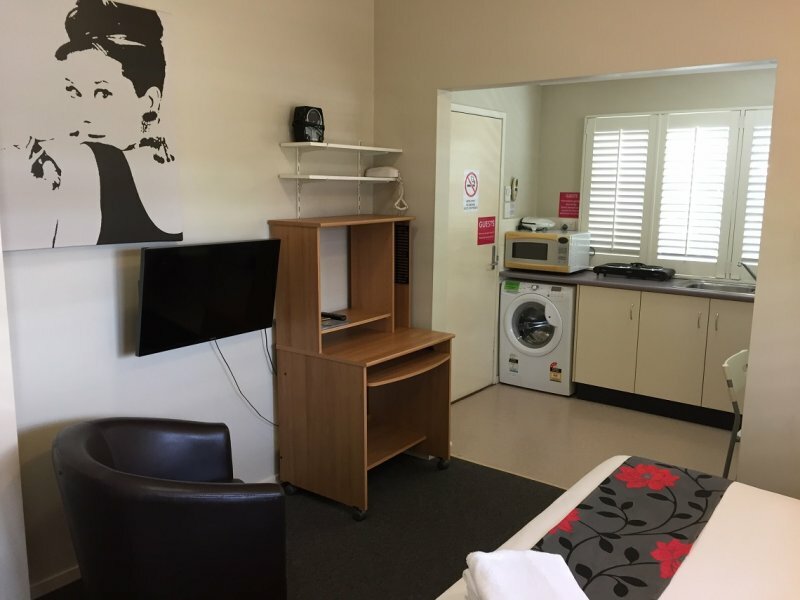 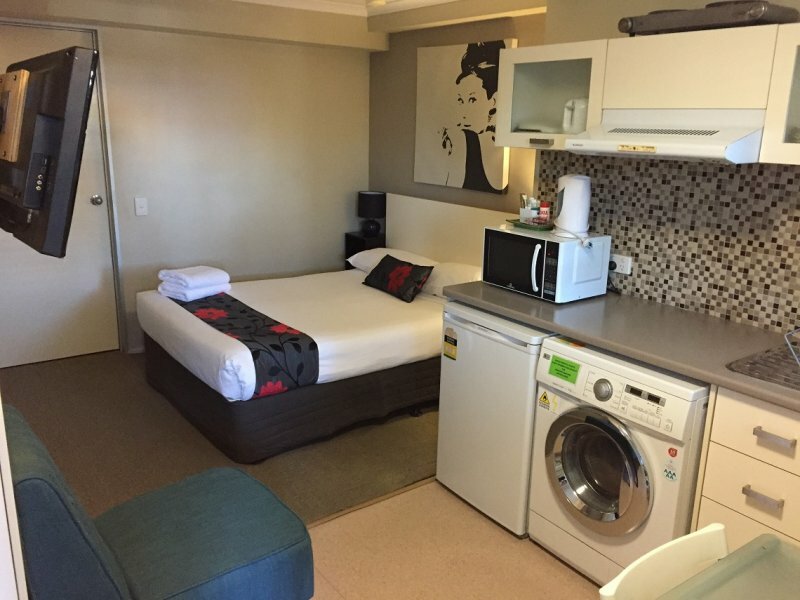 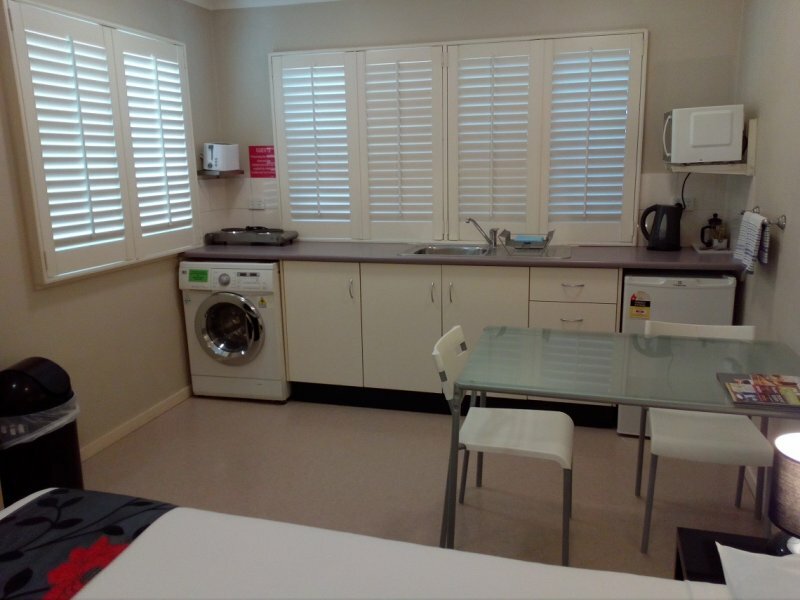 There is an ensuite bathroom, a combined washer/dryer and a flat screen television. 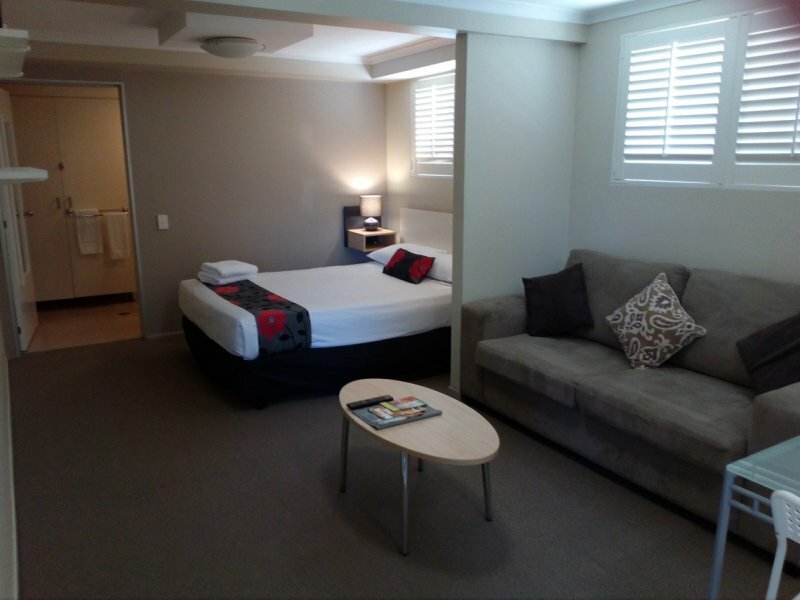 Guests enjoy free internet access. 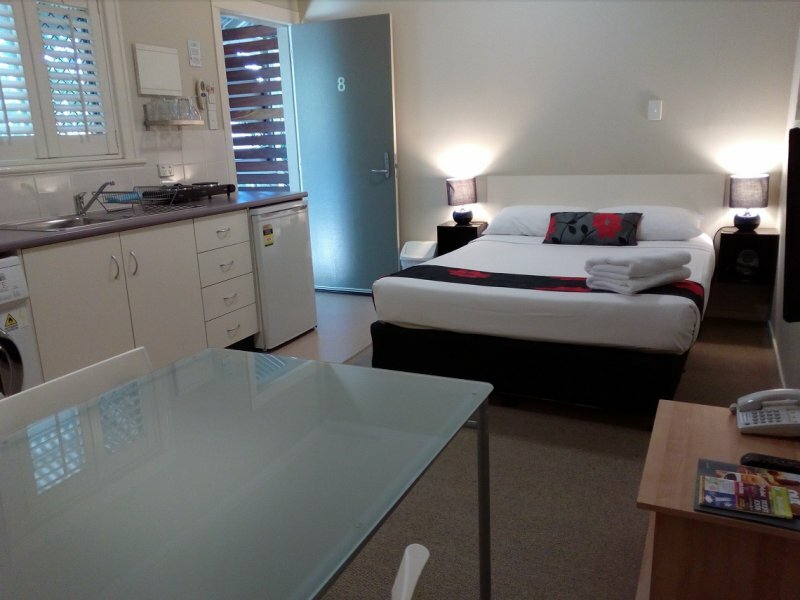 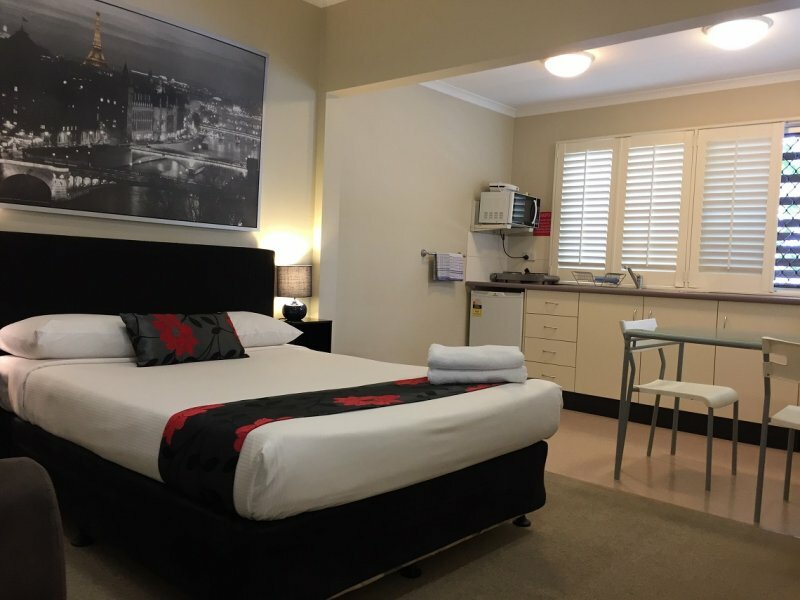 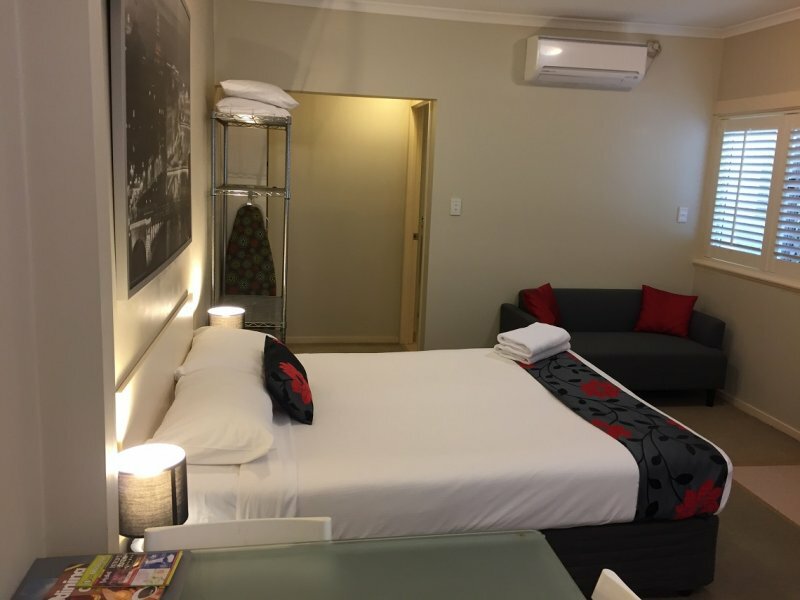 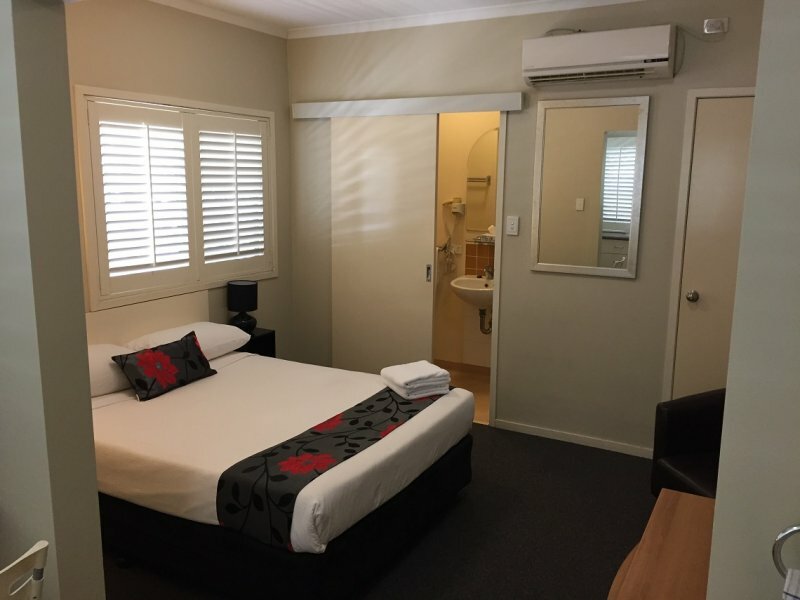 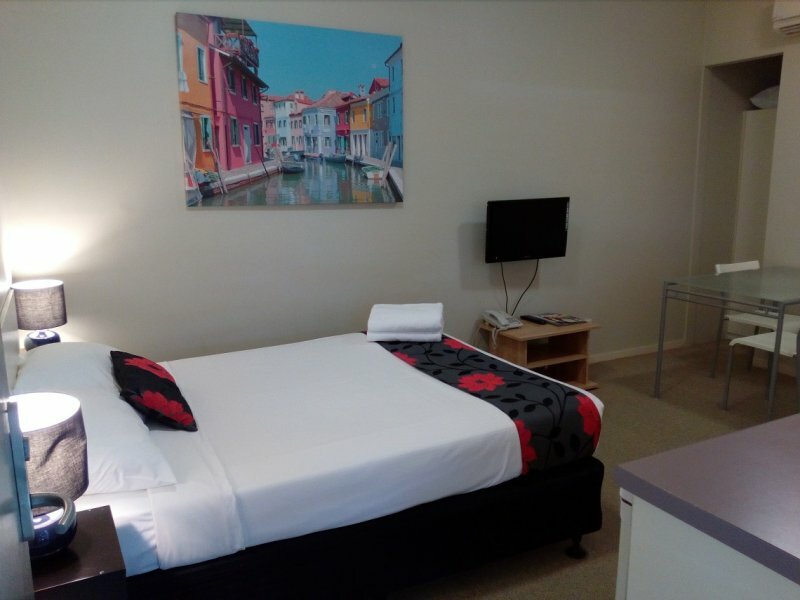 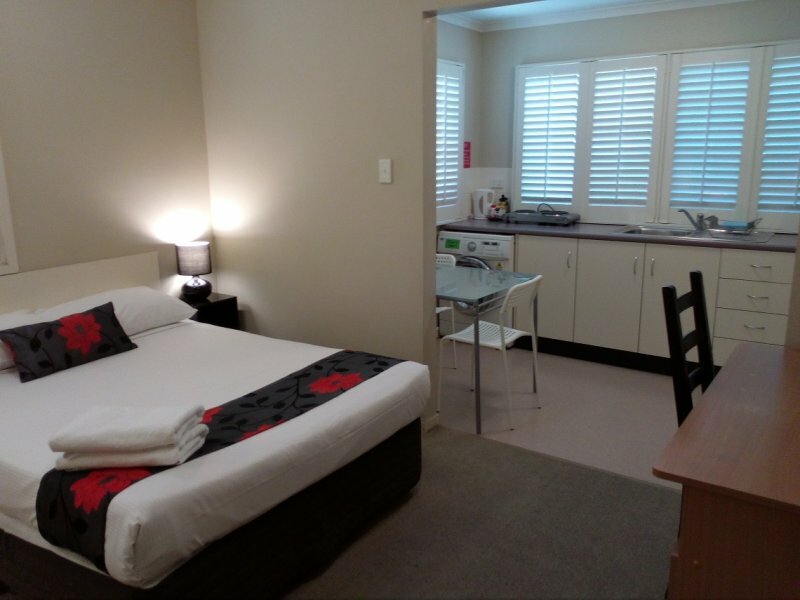 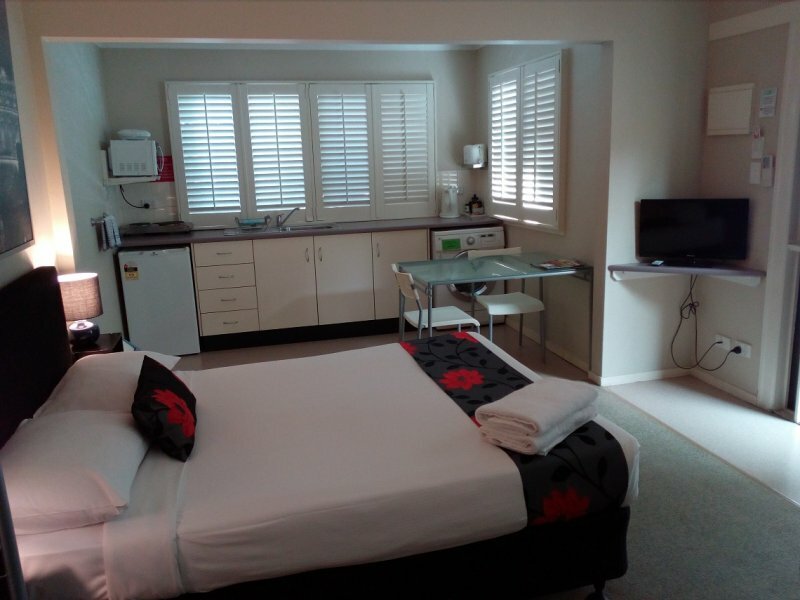 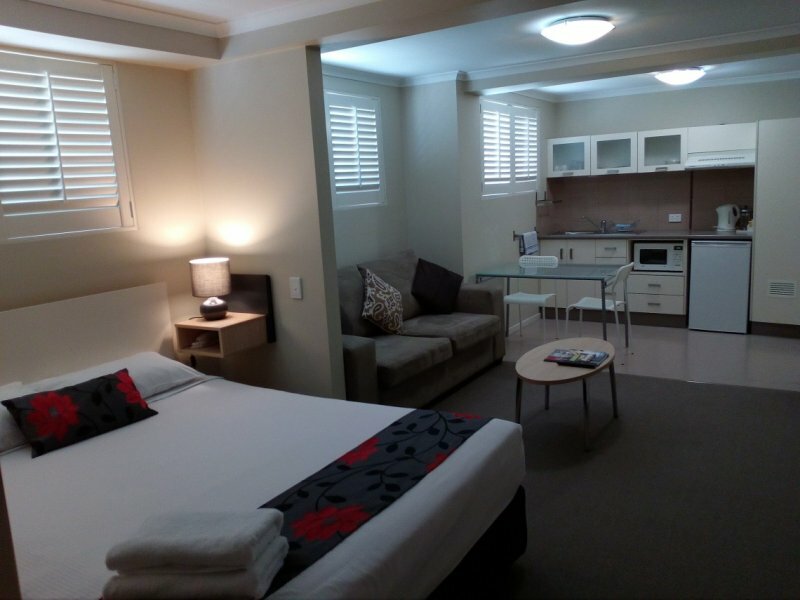 All rooms are fully air conditioned/heated and are serviced weekly.